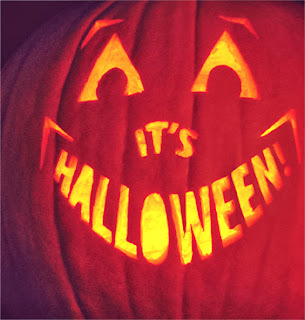 Just wanted to say Happy Halloween to everyone. I love this holiday none other celebrates imagination, creativity and the ability to connect neighborhoods. This is some of the reasons I love Halloween. Be safe out there and have fun! "Visit 2CoolGhouls"
I wanted to add some videos that represent the spirit of Halloween enjoy! Well here we are its October which is for me Horror Movie month! What cool way to celebrate Halloween all month long watching new and old horror films. So I headed to my local red box and rented the new Curse of Chucky film. "Shop Halloween at 2CoolGhouls"
First I got my stash of junk food which consisted on Franken Berry Fruit Rolls up, Count Chocula Treat Bars and of course popcorn. Now that Ive finished watching it I think its a enjoyable film in the series a lot better than both Bride of Chucky & Seed of Chucky installments. It ignores most of the events of Bride/Seed but it's set around 4 years after Seed. The first three films remain completely intact in terms of what they mean to Curse of Chucky, and there are references to them. It's sort of a reboot from then on, but it's set after Seed in terms of date/year. It's kind of confusing but fans of the films will certainly know what I mean when you see it. Brad Dourif reprises his role as the voice of Chucky and this one is like the classic film has some funny one liners from Chucky himself. The films protagonist this time around is Nica played by Brad Dourif’s real-life daughter Fiona who is a paraplegic living with her mother in a spooky mansion that seems to be out in the middle of no where. As the film kicks off an very familiar plot the of the ‘Good Guy’ doll being delivered to their door, closely followed by the apparent suicide of Nica’s crazy mother. After this comes in Nica extended family that Chucky eventually kills. I guess Chucky was trying to inhabit the body of the little girl that befriends him much like he did to Andy in the first classic film. As they say the devils in the detail I don't want to spoil the film for those who haven't seen it yet. One strange twist in the end was Jennifer Tilly's appearance when she rescues Chucky from the plastic bag and kills the cop. I have to say I liked the fact the filmmakers relied on animatronics and less CGI effects which gives Curse of Chucky a cool old school horror feel.